A few weeks ago the International Monetary Fund (IMF) released a report called “Monetary Policy in the Digital Age”, with a caption “Cryptocurrencies may one day reduce demand for central bank’s money”. This report is interesting, as the IMF is a massive official global economic institution, and in the report, the view about the impact of cryptocurrencies on financial systems is quite progressive. Earlier, we have heard mostly negative phrases like “it’s a tool for criminals” or “it’s a pyramid scheme” from the existing economic institutions. But in this IMF report, the cryptocurrencies are taken very seriously and are referred to as a new technological development that can make central banks redundant. It is also stated that all banks will have to adjust in order not to become redundant themselves. 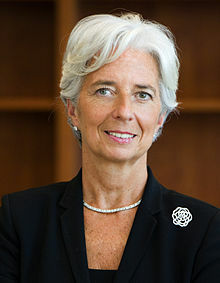 The author of the report is Dong He, Deputy Director of the IMF Monetary and Capital Markets Department. Dong He holds a doctorate in economics from Cambridge University and has, in addition to a long and glorious career in the IMF, previously been the Managing Director of Hong Kong’s Monetary Authority, as well as the Director of Hong Kong’s Institute of Monetary Research. The report concludes that in the wake of the last global financial crisis, and the subsequent state-supported financial rescues of banks, some scepticism was born towards the existing economic system. This scepticism led to the creation of an alternative to the current economic system, namely Bitcoin and Blockchain technology, which has since been further built on and developed. This has led to the wonderland of cryptocurrencies that we know today, all of which are continuations of this innovation. Since the Internet came to be, there have been discussions about whether this new digital age could lead to the death of central banks. Several digital currencies and Bitcoin-like concepts have been launched before, but none of them achieved the level of adoption we have recently seen with Bitcoin and cryptocurrencies. After the success of cryptocurrencies, just like after the birth of the Internet, this question becomes necessary: will the economic policy be effective in a world without central banks? Central banks still have the advantage that the value of their currencies is much more stable compared to cryptocurrencies. This is due to the fact that central banks’ currencies are regulated by centralised political entities, while cryptocurrencies are regulated by market forces. Cryptocurrencies have value because it is believed that they have value (we will be returning to that later in the article). However, they have not been able to achieve stability. On the contrary, they proved to be extremely volatile. The report concludes that if central banks maintain the stability of their money while introducing some of the advantages of cryptocurrencies, they may remain competitive. Most cryptocurrencies usually have a minimal inflation risk, as there is or will be a limited number of them. This is in contrast to central banks, which in principle can print money infinitely. However, as time progresses, the price of the now young cryptocurrencies may stabilise, which will also lead to a greater adoption. One could imagine “smart” rules based on artificial intelligence that could create a more stable price valuation. Fiat currencies and cryptocurrencies have begun to look into each other, with central banks launching projects to understand cryptocurrencies, and cryptocurrencies trying to mimic central bank money. Stable coins, most notably Tether, are linked to the currency of a central bank, which lends stability without compromising the positive properties of the cryptos. They are a possible solution to the issues mentioned above. Stable coins that try to copy central banks inflationary and pricing policies are another possible solution. All of these benefits make cryptocurrencies particularly suitable for micro-payments in the new sharing- and service-based economy. IMF concludes: “So we cannot rule out the possibility that some crypto assets will eventually be more widely adopted and fulfil more of the functions of money in some regions or private e-commerce networks”. It gets a little nerdier in the section of the report, where the IMF discusses that we may be looking at a transition from an account-based payment system into a value-based or token-based payment system. This simply means, as you already probably know, that the intermediaries (the banks) are removed and that people can transfer value to each other without the process being approved by anyone. If the transaction is considered real, it goes through without further questions. In addition, the IMF report states this can also lead to a shift in how money is created – more specifically from credit money to commodity money. The difference between credit money and commodity money is basically that credit money has value because a central bank says so, and commodity money has value in itself because the people have decided that it does. Examples of credit money are USD, EURO, etc., that is fiat currencies. Examples of commodity money are: gold, silver, copper, etc. – it can virtually be anything. For example, in prisons, cigarettes are often used as commodity money, which has value because people agree on it and often exchange it for other goods at a reasonably stable price. Thus, the value is given to an object because people agree that a given object has value. Cryptocurrencies can, therefore, be considered as commodity-money, as they have value because people attach value to them without being given the value from, for example, a central bank that approves them (= credit money and fiat currencies). It is also concluded in the report that central banks may lose their function and become unnecessary, should cryptocurrencies become more widely used, as there is simply no need for their approval for cryptocurrencies to have value. As mentioned earlier, that’s something they get because people attach it to them. The IMF also discusses the consequences of this innovation in a longer section of the report, but the effect is obvious: if people go away from fiat currencies, central banks will not be able to control the economy with their instruments (primarily setting interest rates and controlling supply). So how should central banks and the existing economic system respond to this threat to their eligibility, if at all? – Accept and implement new technological tools, such as cryptography and blockchain technology, big data, artificial intelligence and machine learning. – Provide increased regulation by government authorities, so cryptocurrencies do not have an advantage (at least in part) over state-regulated currencies, including taxing crypto transactions. – Launch their own cryptocurrencies or digital currencies, which may be digital versions of their current currencies, in order to make their money attractive to the users. All in all, the report concludes that central banks should make their entry into the digital age and launch their own digital currencies. This will give their users all the benefits: stable currencies that can be used globally, broken down into micro-components, with fewer transaction fees, and smaller fees for small businesses that receive value through their currency. Otherwise, they could easily go out and see themselves driven out of business by cryptocurrencies, which offer all of these features. All in all, the report believes that both cryptocurrencies and central banks’ currencies have their own benefits. Shortly speaking, the report shows that fiat currencies’ price stability is an advantage, while cryptocurrencies have better features for global transfers, micro-payments, and payment systems with fewer fees. A blend of these properties is naturally suggested, either through cryptocurrencies achieving price stability or by fiat currencies launching their own digital equivalents of their existing currencies.